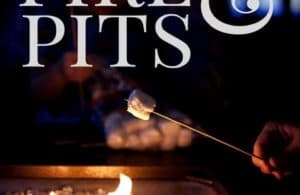 Looking for the best primers and paints for cabinets, furniture & fireplaces? Here are a list of my favorites and when I used them to get beautiful, professional looking results. Hello and happy weekend! 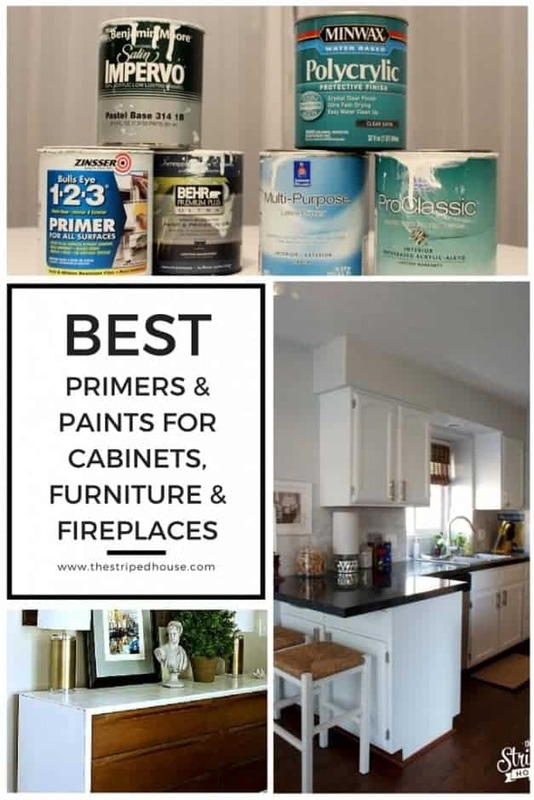 Here it is folks, my go-to list of the best primers and paints for cabinets, furniture and fireplaces. 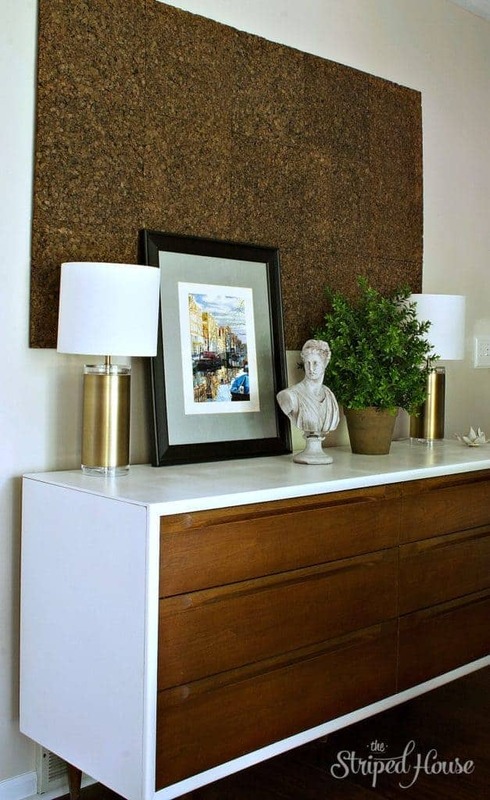 Bookmark this, cause if you are a DIY’er, you’re going to want to save this. Trust me. My first project was my order now kitchen cabinets. You can read the whole story here. Looking back, it was really ambitious of me to take that on without much non-wall painting experience. I don’t have the can of primer I used 6 years ago, but I checked out their product line online and they don’t carry that exact kind anymore. I did find an Enamel Underbody Primer that is meant for cabinetry, wood, trim, etc. If I did it over again, I would use that. PAINT: Benjamin Moore Satin Impervo, color – Misty Gray. *This is probably a good time to mention that you need to use quality paint. Do not skimp on paint for something major. I bought this in quarts (silly because I think I bought at least 4 quarts), but I didn’t know how much I would buy, or how I would like the color since it technically is a gray posing as a white. I think this paint was $50 a quart. Crazy I know, but worth every penny. viagra buy now Number of Coats: 4 of primer, 5 of paint… or was it 5 of primer and 4 of paint? order now Tools: Purdy brushes, the angled type. They are the best. I won’t buy anything else. 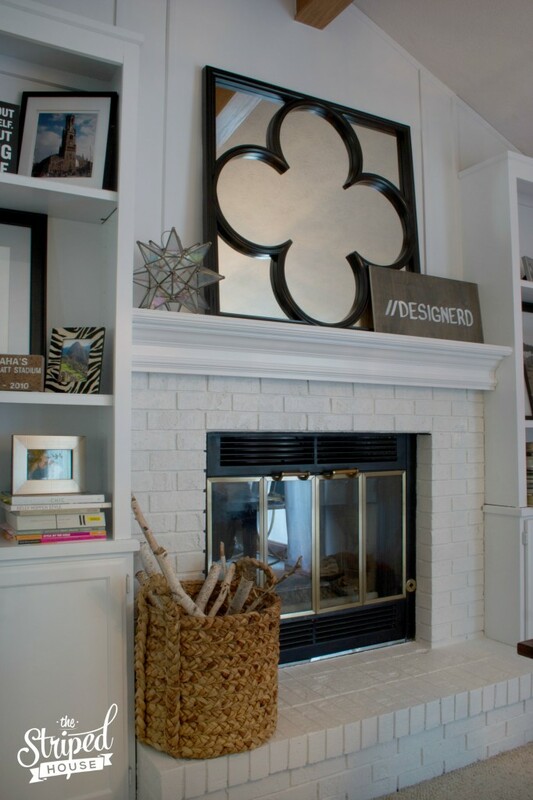 My next big endeavor was my fireplace and built-in bookcases. You can see more photos here. 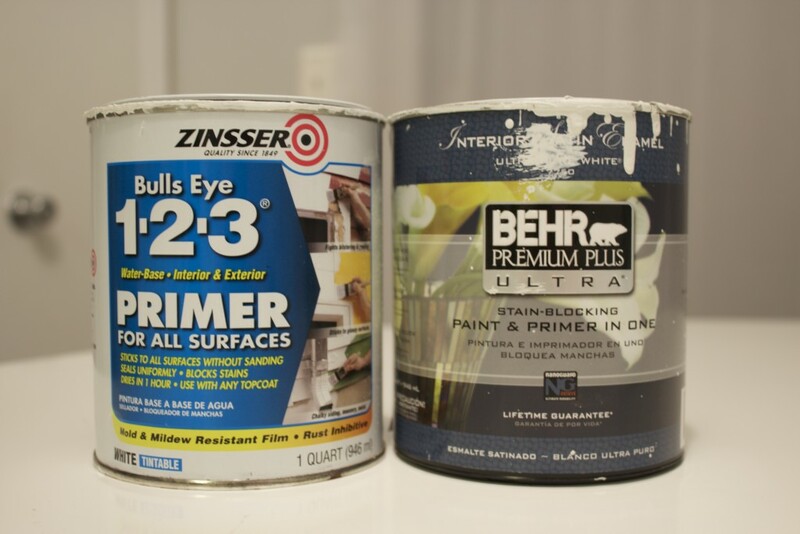 Zinsser Bulls Eye 1-2-3 Primer and Behr Premium Plus Ultra (Primer & Paint in One). The friendly folks at Home Depot made my day when I told them about my project and they said I could avoid stripping and sanding the built-ins with the Bulls Eye 1-2-3 Primer. WHOA, what? Honestly, I was skeptical, but by golly, it worked. I’m a believer. I think there are a couple different formulas, so make sure you get the one that says “sticks to all surfaces without sanding” on the front. 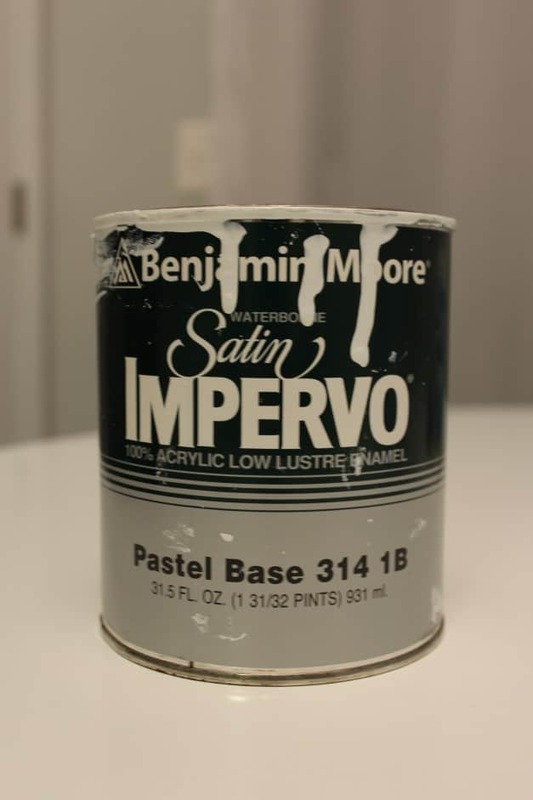 For paint, I’ve used the Behr Paint & Primer in one before and knew it was a good quality thicker paint, ideal for non-wall projects. I didn’t think of it as putting two kinds of primer on the wood. 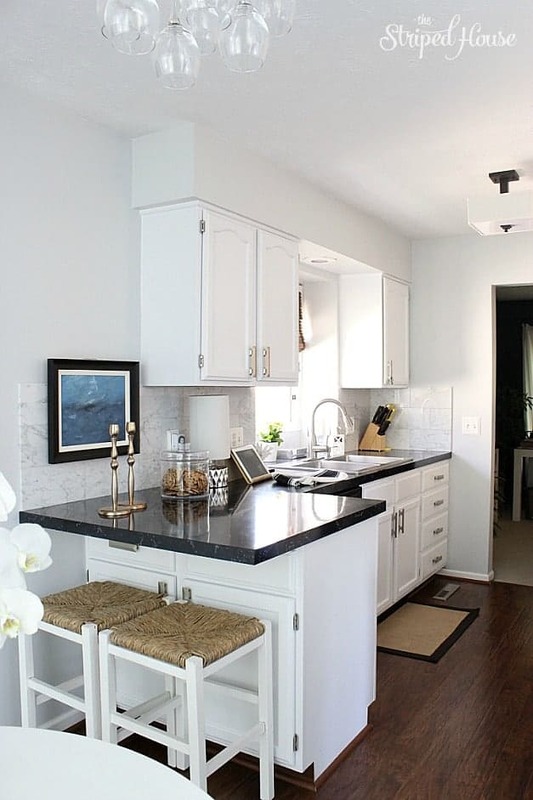 In this case, I think of the Behr as an awesome paint 😉 Home Depot was able to use Benjamin Moore’s Misty Gray formula on the Behr paint so there was consistency with the white between my dining room and kitchen. Number of Coats: Two coats of primer, three of paint. I believe I just did two coats of paint on the brick fireplace. Tools: I think I planned to roll what I could, but in the end, I just needed up brushing the whole thing. It didn’t take that much longer since there aren’t that many big flat spaces to roll. Purdy angled brushes all the way. Time to Complete: I could finish an entire coat in one night after work. Granted it was usually a late night – 6 hours, but I was motivated as heck to finish it by a certain date. I had to take a couple nights off, so I had it done in 10 days. The next project that I think is worth mentioning for this Non-Wall painting category is when I painted my grandparent’s, then parent’s midcentury bedroom dresser. I use it as a credenza in my dining room. You can see more of it here. I researched paints on this more than I’ve ever researched paint before. Like most of us, I have painted furniture in the past that didn’t turn out how I hoped. Since I really like this piece and it had sentimental value, I was not going to mess it up. 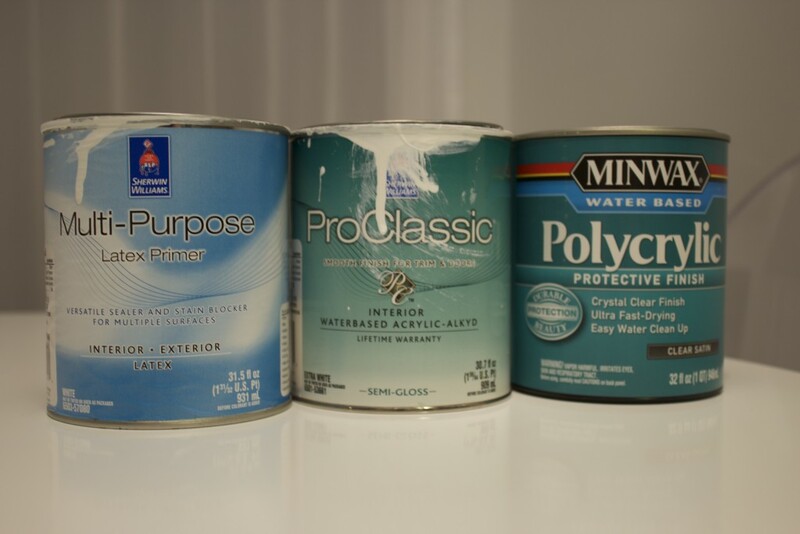 (see photo below) The products that came recommended by some of the most respected DIY bloggers were Sherwin Williams primer and paints. So that’s what I got. The primer is latex, the ProClassic paint is their Acrylic-Alkyd formula in Semi Gloss, and the protective polycrylic finish is from Minwax (water based in the clear satin formula). I didn’t sand off enough of the old stain, and it did come through the Sherwin Williams primer. Dang. So I did go over it with the Bulls Eye 1-2-3 primer (twice) and the yellow spots that came through before were gone. 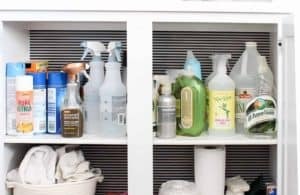 Tools: I used a short nap foam roller for all of the products. I tried brushing it, but the brush marks were too obvious. Time to Complete: It took 15 minutes to put on each coat, but I let each coat dry 48 hours before the next step. Omaha has terribly humid summers and I wasn’t going to risk it. Hopefully this will inspire you to go paint something in your house and make love your home even more, at least that’s what happens for me 😉 If I discover more products, I’ll be sure to tell you! Wow, I think that this is the most informative blog post I’ve every read about painting furniture and other non-wall things. Thanks for sharing your experiences with the different products. And your pieces all turned out beautiful! I agree. I’ve had to go through many blog posts to get the information that you gave me. Thanks. I’m working on a Dixie dresser and most people who have this line tend to use chalk paint. I want a gloss finish to match the rest of my daughters furniture. I knew about the primer, but still lost on the paint. This helps. I have always had good luck with Behr on walls and the exterior of our house, so I think I’ll stick with it for this project too. Thanks again. My bulls eye primer left a chalky finish when dried for 24 hours…I sanded enough to rough up surface and wiped down with tack cloth…carried the chairs in spare room in house to prime…don’t know what to do or if my primer or paint will adhere. Any advice or options on what to do? ?